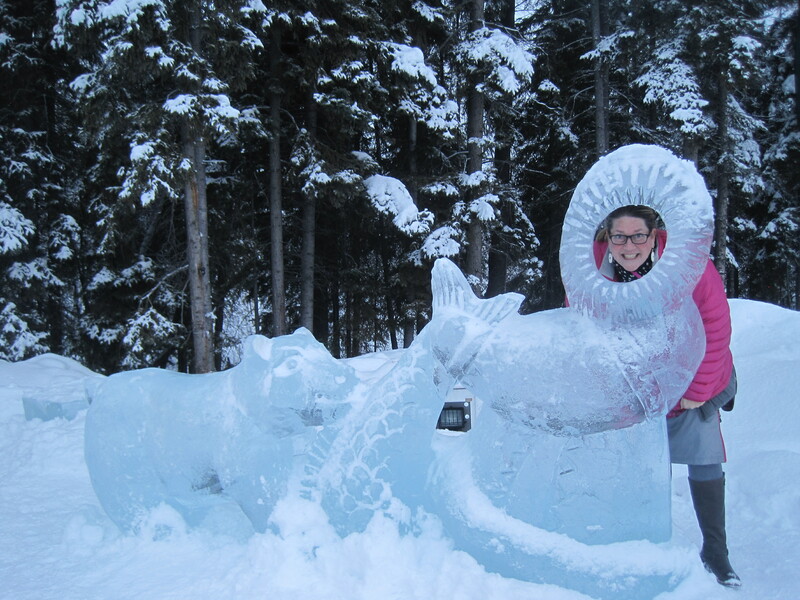 « Cordova Alaska, 2012 Record snow, 2015 NO snow! 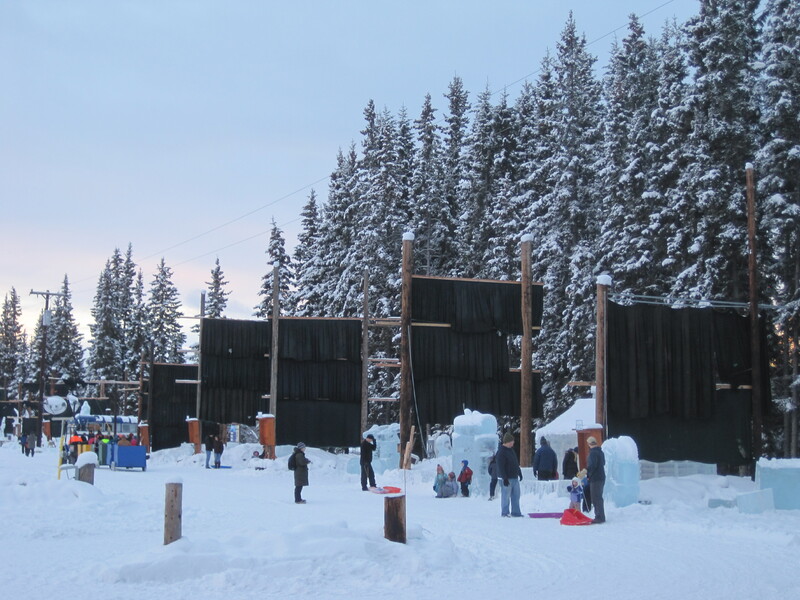 Two districts, within 100 miles of Fairbanks invited me to work with their boards on either side of the weekend. 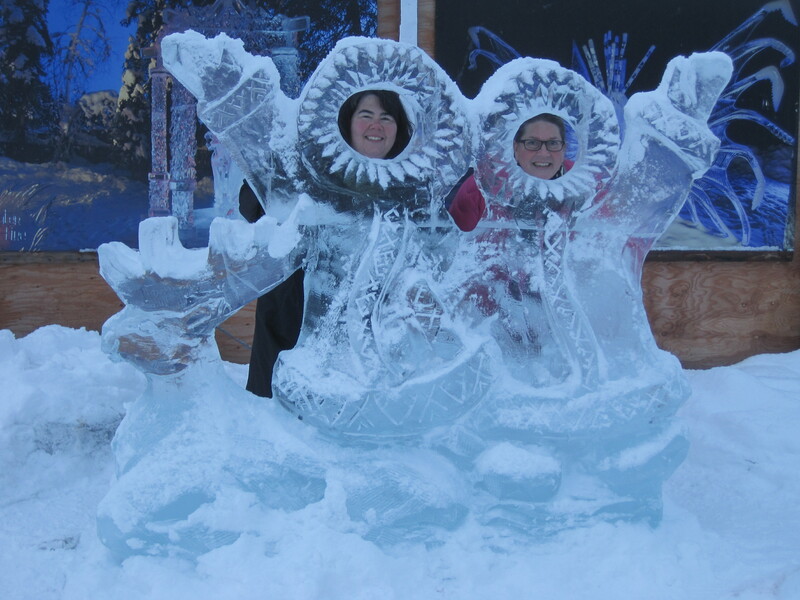 I was excited about some down time in Fairbanks to explore the Ice Art event, which I have never been able to view before. 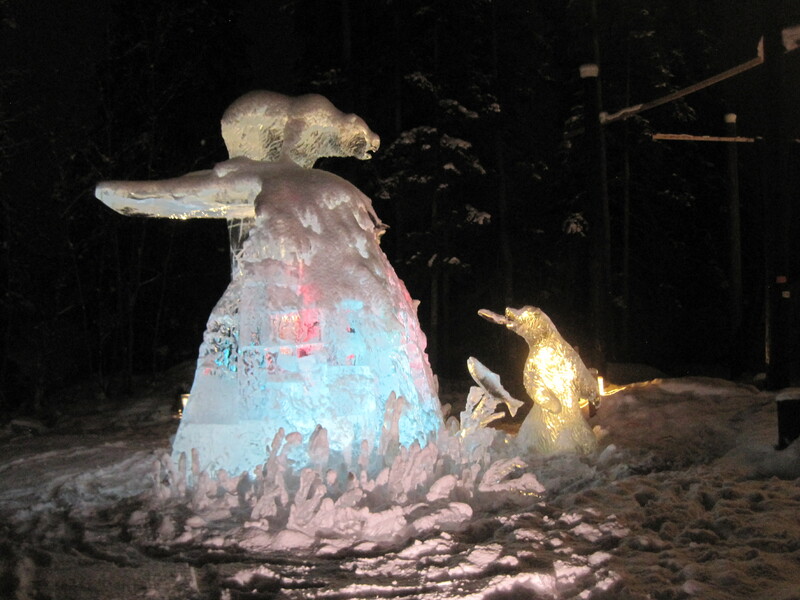 The Ice Art Park did not let me down, as I visited it in the daylight and returned later to visit it after dark with lights shining on the pieces. I quickly learned there were several aspects to the park. these are not part of the judging. 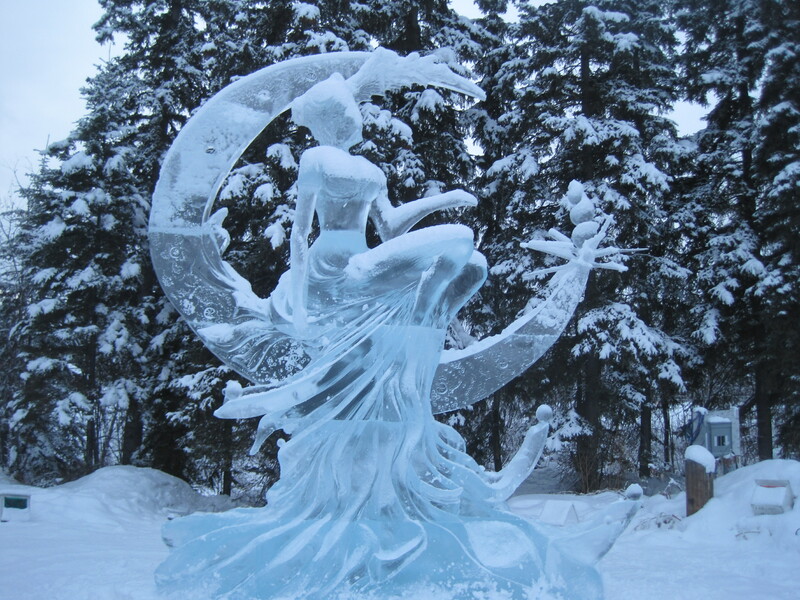 There were 36 pieces that were carved by 1 or 2 member teams over a 60 hour time frame. 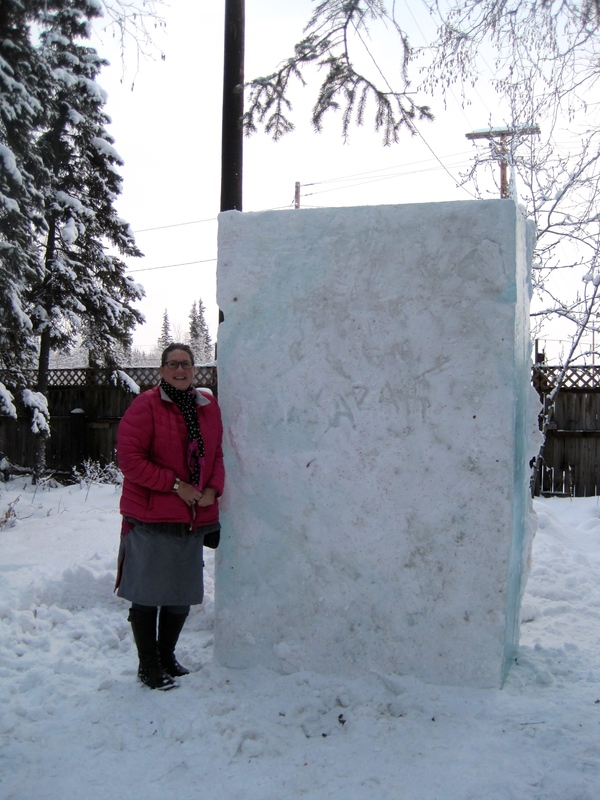 Each team is given the same sized block of ice that is 5’x8’x3’. Most teams work long hours without breaks to complete their works of art in time. 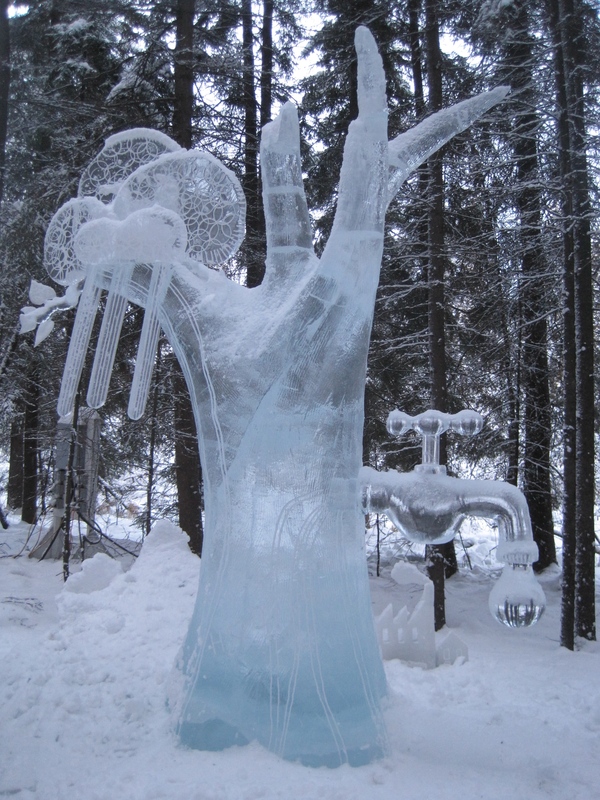 The artists use tools to cut, saw, chiseled the ice AS WELL AS blow driers and heaters to attach pieces of ice together. 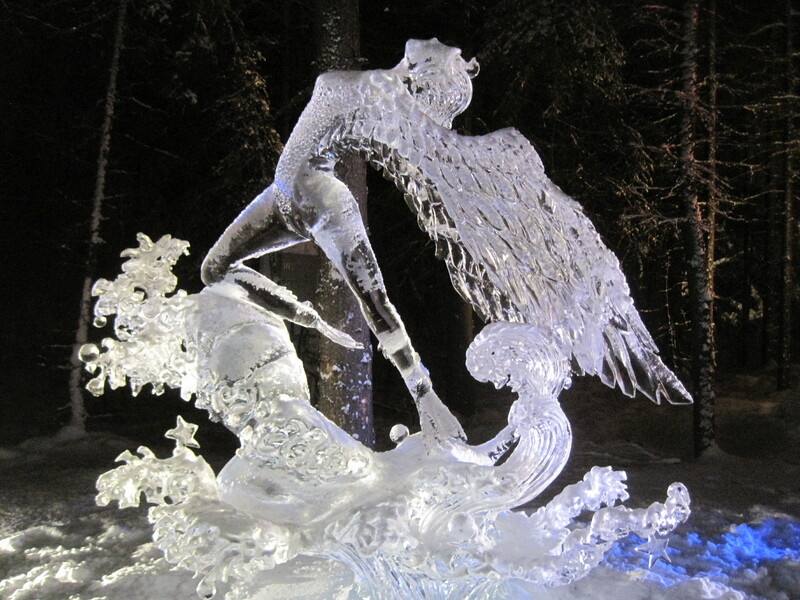 It is hard to imagine that a 8’ tall piece of ice can turn into something over 25’ tall. 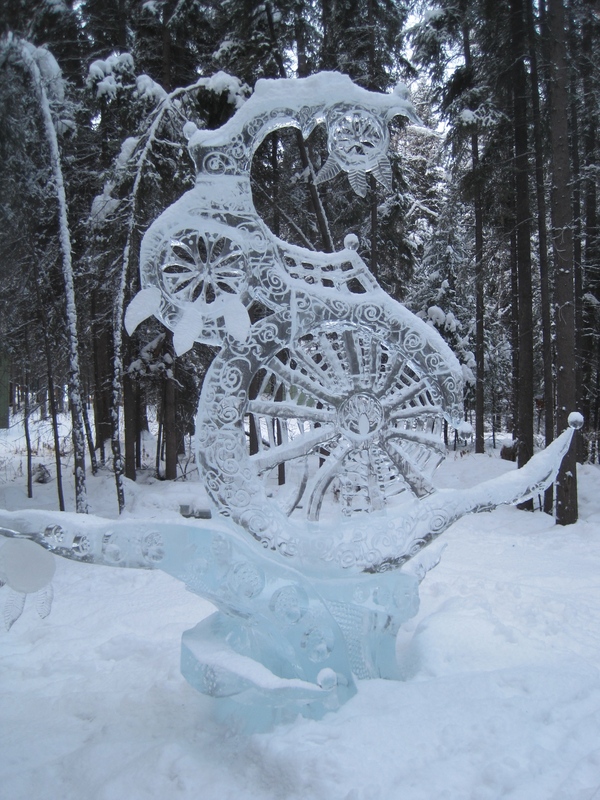 this was a dream so intricate and can’t imagine how much time it took with all the details. It is a dreamcatcher themed piece. 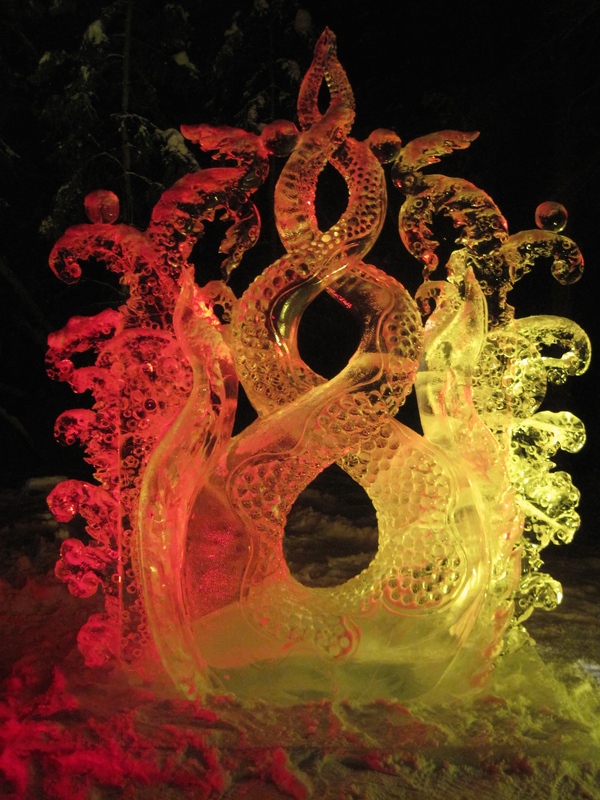 One of my top pics, Fire and Ice, the snow flake on one side and the flames on the other, This was beautiful in person. There were 17 pieces entered in the competition this year and were created by teams of 2-4 members. These teams start on Saturday morning and end on Thursday morning for a total of 132 hours to create the designs. 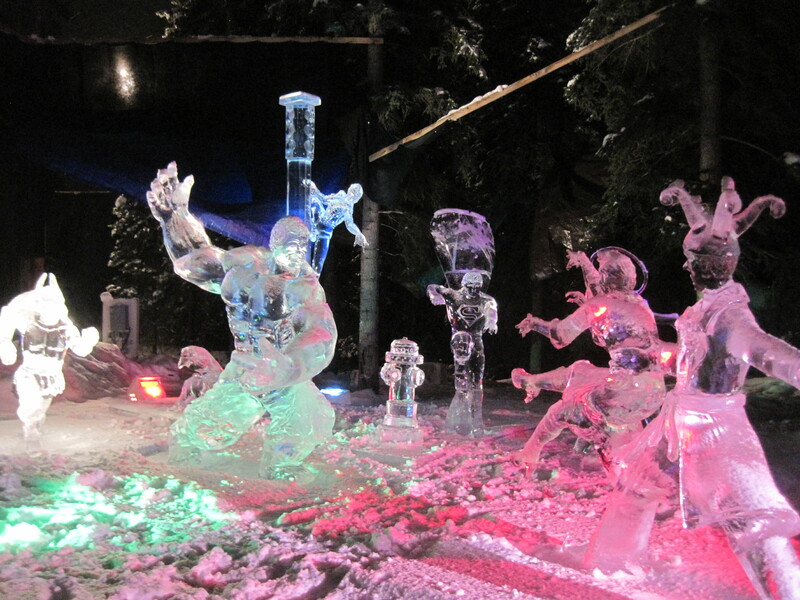 Each team works with 10 blocks of ice that are 4’x6’x3’, and it amazes me what they are able to do with these chunks of ice. There are large sheets hanging in between these pieces to keep the sun from melting them. Cash prizes are given out to the top 10 of each category selected by a panel of judges. 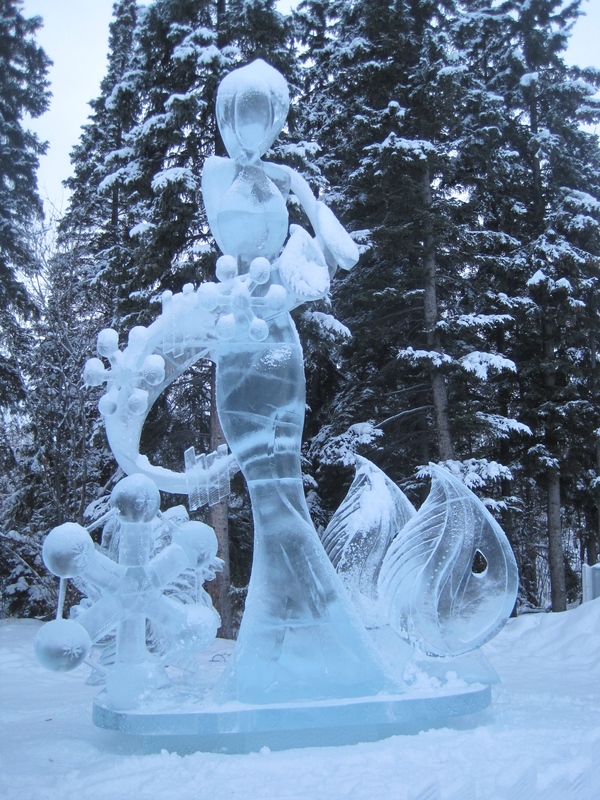 There is also a People’s choice award, a fellow artists award and a volunteer’s award. 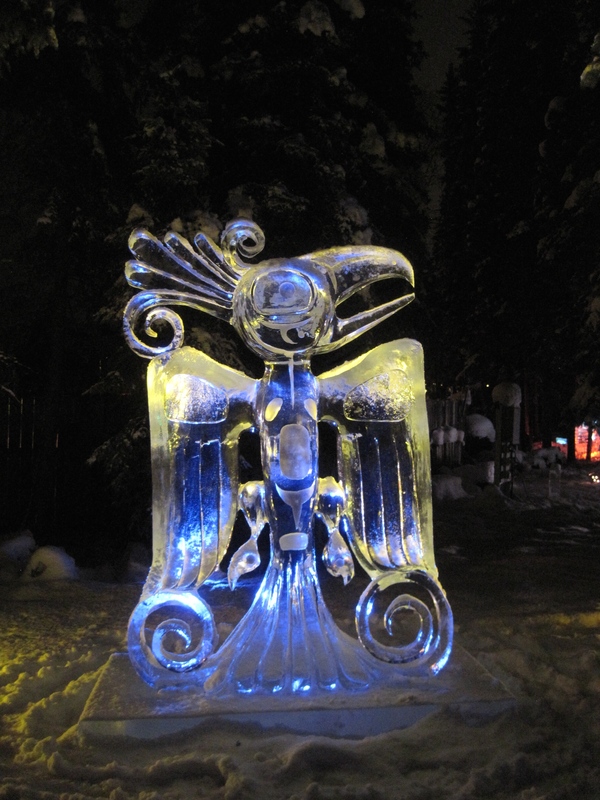 Fairbanks and the ICE Park has hosted this the BP World Ice Art Championships event for 25 years. 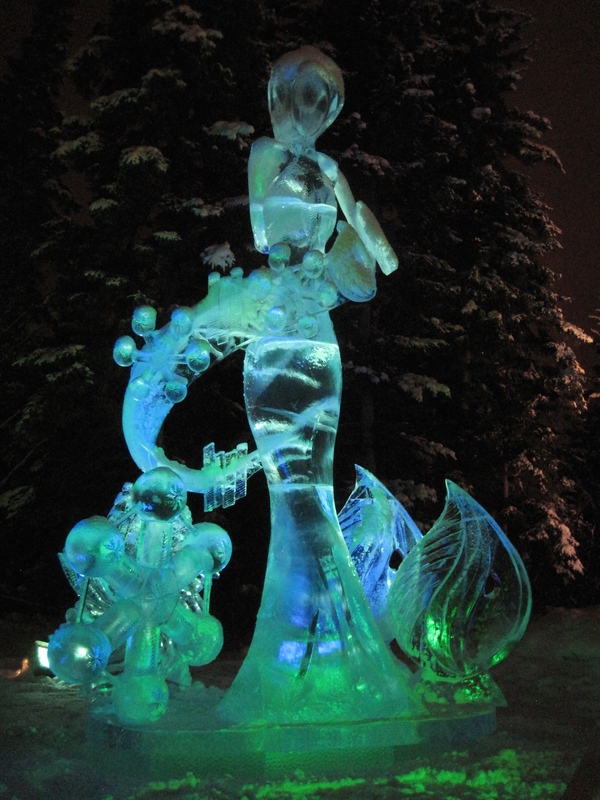 It used to be a one week event and now it is over a month long attracting artists from all over the world. It was $15 to enter and well worth the price. this was a fun one, a bunch of super hero’s trying to capture the Joker! Might be hard to see at first but it is 2 bears fishing in a waterfall. The one on top of the falls is looking down at the one below. See the fish on the ‘splashes’ of water at the base? Beautiful and amazing! Thanks for sharing!! Awesome pictures Timi…how blessed you are to be living in such a beautiful part of our world!